It was in approximately 800 AD that the first commercial brewery was established near what is now Munich, Germany. And while Bavarians were not the world’s first people to make beer, they were the first to develop the craft of brewing and turn it into an industry. 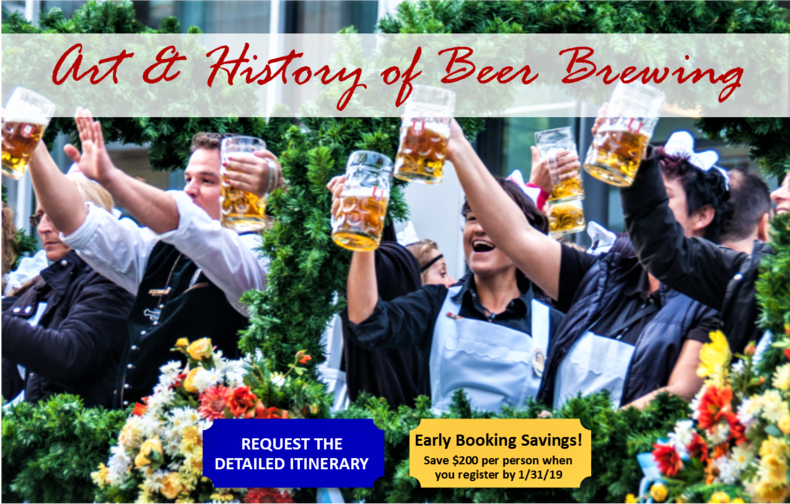 This tour explores the true art and fascinating history of beer brewing in the land where it was perfected. It introduces you to a wide variety of German craft beers and helps you learn to identify the subtle differences in taste and style that characterize each. But it is also about much more than that. Because in Bavaria, beer is a fundamental part of the culture and understanding beer brewing here is a key to understanding this land, its history, and its people.